Sgt. Soles is pretty much the definition of the word BAMF. I was honored to share his story the first time here: http://blog.rappstar.com/2010/11/real-men-of-bamfness-sgt-jeremy-soles.html. But some BAMFs just keep getting even more badass, and Sgt. Soles is one of them. Not content to simply go run marathons in a gas mask, Sgt. 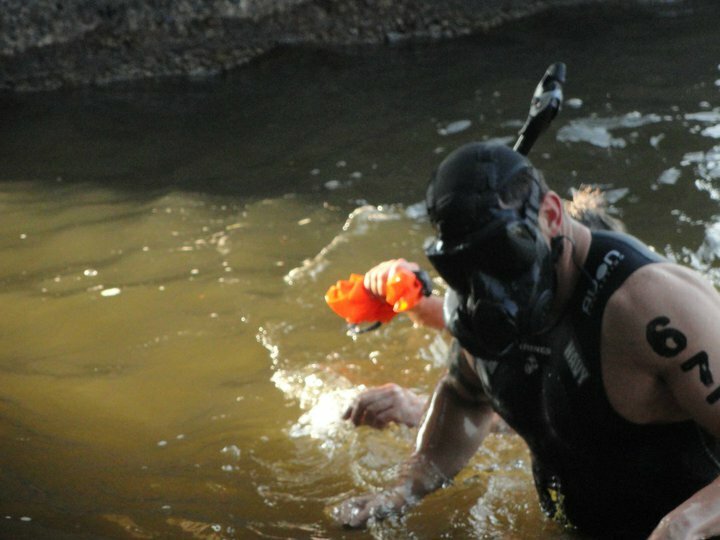 Soles decided to do a triathlon wearing his gas mask. Yes, for the whole thing. Yes, that includes the swim. I’m in awe. Again. Team X-T.R.E.M.E also now has a Facebook fanpage, so you can get even more BAMF action on a regular basis. Check them out at http://www.facebook.com/TEAMXTREMERUNNING. And you can visit their regular website at http://www.teamxtremeevents.org. Sgt. JS, you are a BAMF (again).